What is next, or should I say what is left. While on a European climbing trip, Dave Graham made the 4th ascent of “Action Directe” at Waldkopf, Frankenjura. “Action Directe” falls at a solid (9a/5.14d). 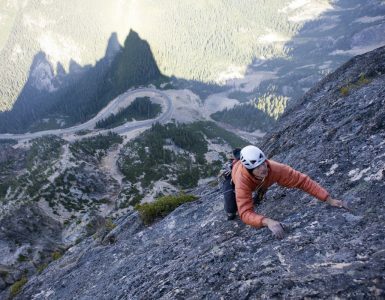 It was first climbed by Wolfgang Gllich in 1991, and has only seen two other ascents before Graham’s quick work of the short yet powerful route. 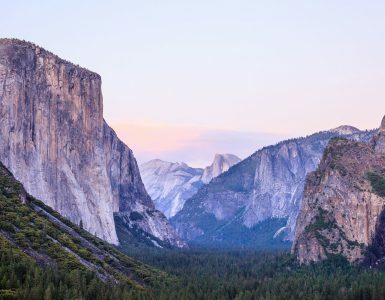 Unlike its previous ascentionists (Alexander Adler in 1995 and Iker Pou in 2000) who trained specifically for the climb, Graham climbed the route with about a week’s work, about 20 tries in 6 days. A very cool Flash presentation of the acsent can be found On Roberto Fioravanti’s website. Action Directe, 9a (5.14d), Frankenjura. Barracuda, 8c+ (5.14c), Kietsberg, 10 moves three bolts, very Rumney-esque power crimp route. Best Friend Lets Go Surfing, 8c+ (5.14c), a beautiful project in Switzerland at the Boki that Dave sent after 6 days of work. 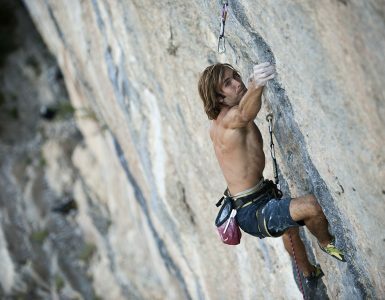 Biographie, 8c+ (5.14c) version, Ceuse. Dave didn’t stop at the chains, but went to the next crux, and fell at the difficult pocket stab. Downset, 8c (5.14b), Frankenjura. Two tries, same day as Action Directe. Sundance Kid, 8c (5.14b), Frankenjura. Elfe, 8c (5.14b), Grimsel Pass. Five tries. Chronique de la haine ordianiare, 8c (5.14b), Ceuse. Three tries. Line 1, 8b+ (5.14a), Frankenjura. Stonelove, 8b+ (5.14a), Frankenjura. Three tries. Bonshorno, 8b+ (5.14a), The Boki. Two tries. Perpetually Stoked, 8b+ (5.14a) The Boki. Two tries, first ascent. Raise the Roof, 8b+ (5.14b), Frankenjura. Four tries. Subway, 8b (5.13d) 3 tries, Frankenjura. L’amie de tout le monde, 8b (5.13d), Ceuse. Flash. Precision Violent, 8b (5.13d) Ceuse. Two tries. Castor, 8b (5.13d), Frankenjura. Two tries. Bladerunner, 8b (5.13d), Frankenjura. Two tries. Centre Court, 8a+ (5.13c) Frankenjura. Onsight. Delicate News, 8b (5.13d) Frankenjura. Onan der Masturbator, 8a+ (5.13c), Englberg. Flash. Flake route? 8a+ (5.13c) ,Ceuse. Flash. Approximately 20 onsights of 7c+ (5.13a)’s. Approximately 20 more 8a+ (5.13c) and 8a (5.13b) routes in a couple tries. Sideways Daze, 8b (V13), Font. FA. Mad Maxx, 8b (V13), Font. Little roof, 8b (V13), Chironico. Reve de Frere, 8b (V13), Sustenpass. Lointoine de Hueco, 8b (V13), Sustenpass. Teen Spirit Traverse, 8a (V11), Sustenpass. Salamandre Brione, 8a+ (V12), Sustenpass. Pit bull, 8a+ (V12), Sustenpass. Red snapper, 8a+ (V12), Sustenpass. Serre moi fort, 8a+ (V12), Tessino. Two tries. La Boule, 8a+ (V12), Cresciano. Three tries. Frank’s wild years, 8a+ (V12), Cresciano. Freak brothers, 8a+ (V12), Chironico. Surplomb de la Mee Bleau, 8a+ (V12), Font. Hybernatus S.D., 8a+ (V12), Font. Super platte, 8a (V11), Cresciano. Green Thumb, 8a (V11), Chironico. Two tries. Le Pilier, 8a (V11), Font. Two tries. Duel , 8a (V11), Font. Miserycorde, 8a (V11), Font. Flash. Dave, you are my hero! His buddies Jason Kehl, Luke Parady and Joe Linder are doing some climbing there too. Can you imagine what the total tick list will be when these guys get finished with their European vacation. Chris Sharm has done it! He’s managed to climb the second part of Biographie and, for the first time ever, link the entire route. In doing so he finishes a project in Ceuse started in 1996, widely considered as one of the hardest lines in France and the world. Realization (Biographie extension) is composed of a first 8c+ section, freed by Arnaud Petit in 1996 and repeated by just Sharma and Sylvain Millet, that leads to a chain at half-height. Leaving a further 20m of intense climbing, graded 8b+ in its own right with a 7c+ boulder crux and no rest whatsoever. The problem was linking it all together. Sharma originally freed the first section in three days and returned repeatedly to Ceuse specifically for this project. In 1997 alone he dedicated a month to the route, and in total fell from the high crux about 30 times. With this route Sharma manages to finish what he considers one of his most important projects. As is well known, the young American doesn’t grade his routes, but seeing that he needed three years to free the line he rechristened the route Realization. If confirmed at 5.15a, Realization could well be one of the world’s hardest sport climbs. Read an excellent story on this climb at climbXmedia.com. However, in the following week, Tommy made the decision to stop treatments to reattach his finger. The doctors said it would be a long process and he would never be able to use it in climbing. Caldwell and all those around him, believe it was the right move to make. We have a feeling that this will not stop him. I would bet that we will soon hear from him again after some recovery time. Tommy, the Camp4 staff wishes you a speedy recovery. News courtesy of Rock and Ice.